Remember, in Part 1 I asked you a question: “How do you run a Django application, Flask application, and Pyramid application under your freshly minted Web server without making a single change to the server to accommodate all those different Web frameworks?” Read on to find out the answer. Basically you had to use what worked together and not what you might have wanted to use. So, how do you then make sure that you can run your Web server with multiple Web frameworks without making code changes either to the Web server or to the Web frameworks? And the answer to that problem became the Python Web Server Gateway Interface (or WSGIfor short, pronounced “wizgy”). So, WSGI is the answer to the question I asked you in Part 1 and repeated at the beginning of this article. Your Web server must implement the server portion of a WSGI interface and all modern Python Web Frameworks already implement the framework side of the WSGI interface, which allows you to use them with your Web server without ever modifying your server’s code to accommodate a particular Web framework. Now you know that WSGI support by Web servers and Web frameworks allows you to choose a pairing that suits you, but it is also beneficial to server and framework developers because they can focus on their preferred area of specialization and not step on each other’s toes. 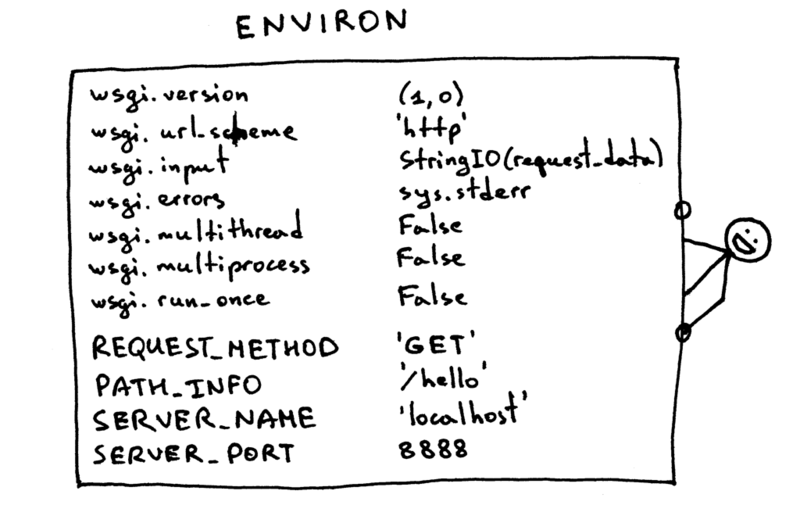 Other languages have similar interfaces too: Java, for example, has Servlet API and Ruby has Rack. It’s definitely bigger than the server code in Part 1, but it’s also small enough (just under 150 lines) for you to understand without getting bogged down in details. The above server also does more - it can run your basic Web application written with your beloved Web framework, be it Pyramid, Flask, Django, or some other Python WSGI framework. Don’t believe me? Try it and see for yourself. Save the above code as webserver2.py or download it directly from GitHub. If you try to run it without any parameters it’s going to complain and exit. It really wants to serve your Web application and that’s where the fun begins. To run the server the only thing you need installed is Python. But to run applications written with Pyramid, Flask, and Django you need to install those frameworks first. Let’s install all three of them. My preferred method is by using virtualenv. Just follow the steps below to create and activate a virtual environment and then install all three Web frameworks. Check what the server and curl prints to standard output. Now onto Flask. Let’s follow the same steps. Can the server also handle a Django application? Try it out! It’s a little bit more involved, though, and I would recommend cloning the whole repo and use djangoapp.py, which is part of the GitHub repository. Here is the source code which basically adds the Django ‘helloworld’project (pre-created using Django’s django-admin.py startproject command) to the current Python path and then imports the project’s WSGI application. Did you try it? 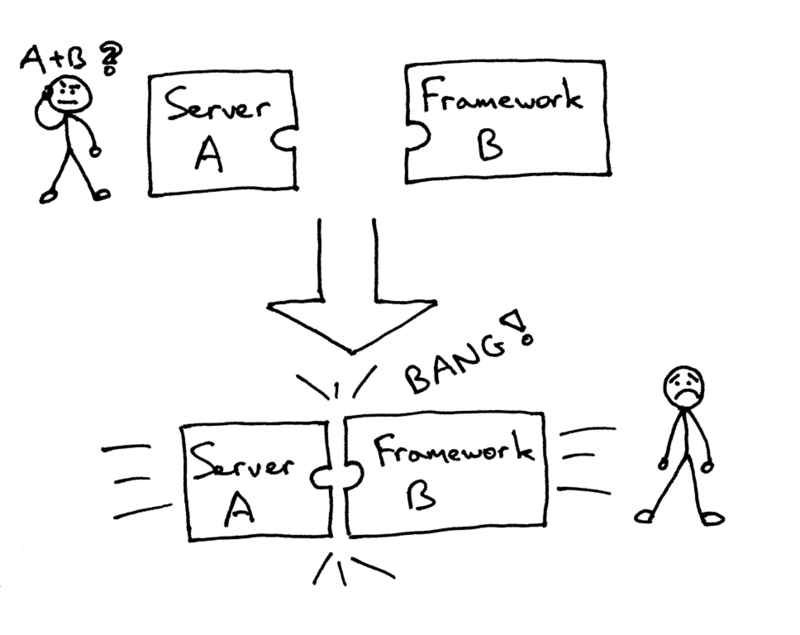 Did you make sure the server works with those three frameworks? If not, then please do so. Reading is important, but this series is about rebuilding and that means you need to get your hands dirty. Go and try it. I will wait for you, don’t worry. No seriously, you must try it and, better yet, retype everything yourself and make sure that it works as expected. 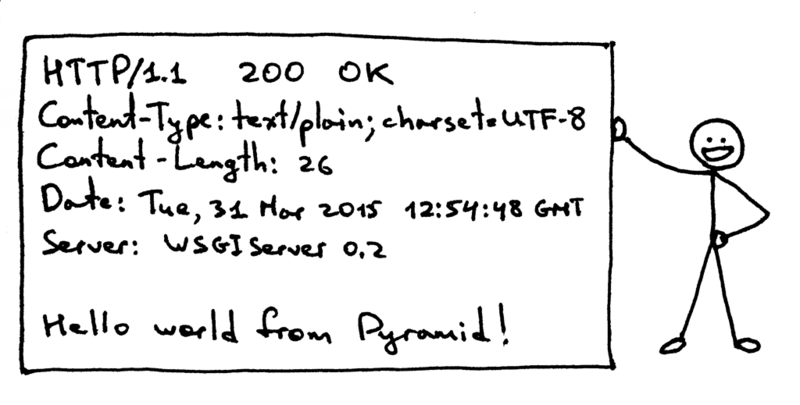 The server invokes the ‘application’ callable for each request it receives from an HTTPclient. It passes a dictionary ‘environ’ containing WSGI/CGI variables and a ‘start_response’callable as arguments to the ‘application’ callable. The framework/application generates an HTTP status and HTTP response headers and passes them to the ‘start_response’ callable for the server to store them. 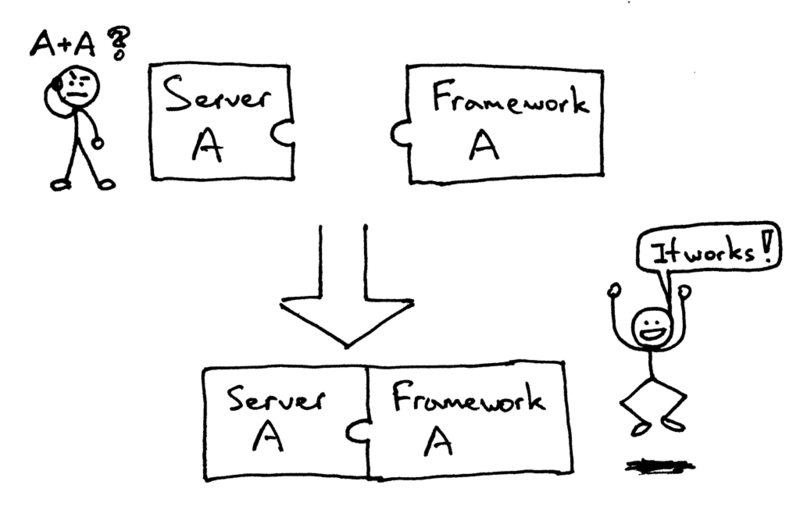 The framework/application also returns a response body. 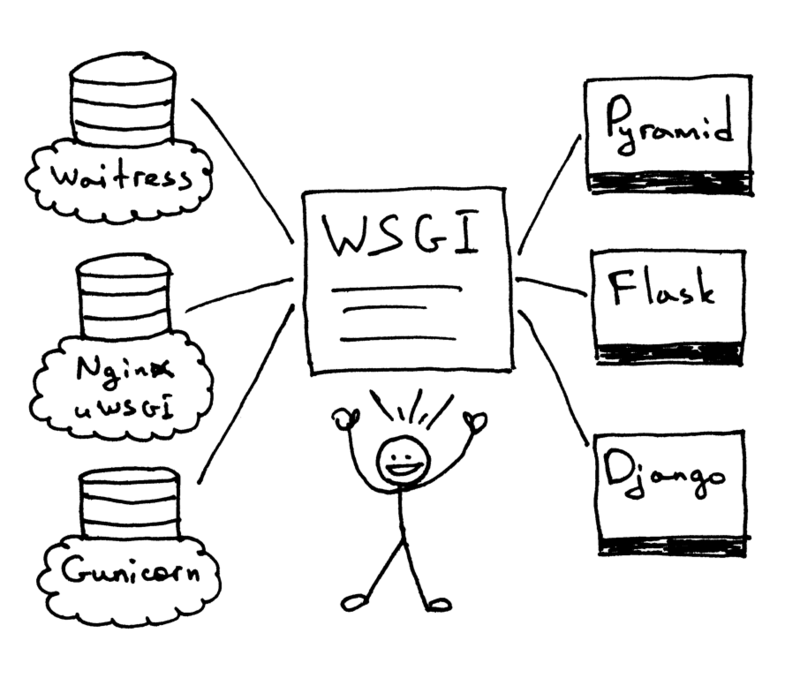 So far, you’ve seen the Pyramid, Flask, and Django Web applications and you’ve seen the server code that implements the server side of the WSGI specification. 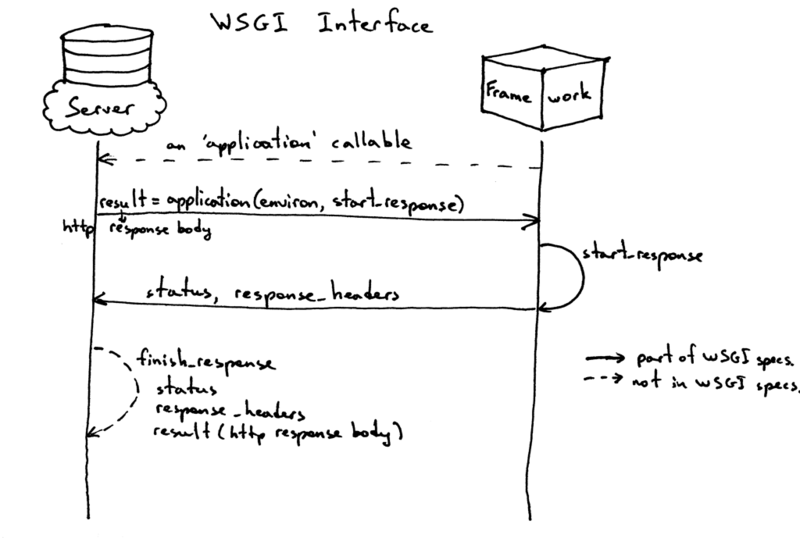 You’ve even seen the barebones WSGI application code snippet that doesn’t use any framework. 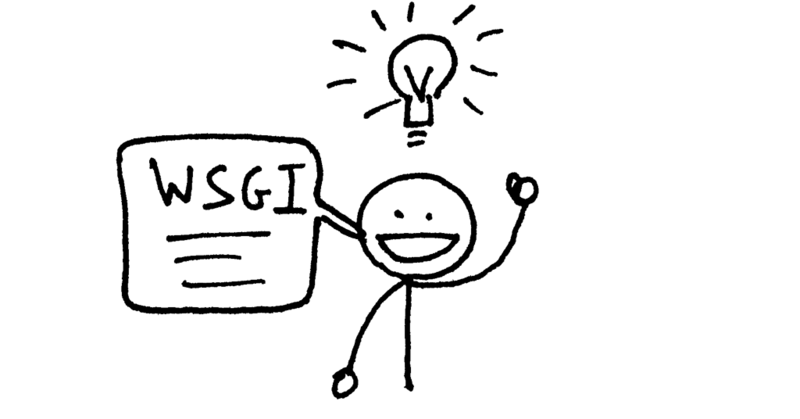 You just wrote your very own minimalistic WSGI Web framework while learning about how to create a Web server! Outrageous. The response has some familiar parts that you saw in Part 1 but it also has something new. It has, for example, four HTTP headers that you haven’t seen before: Content-Type, Content-Length, Date, and Server. Those are the headers that a response from a Web server generally should have. None of them are strictly required, though. The purpose of the headers is to transmit additional information about the HTTP request/response. A Web framework uses the information from that dictionary to decide which view to use based on the specified route, request method etc., where to read the request body from and where to write errors, if any. 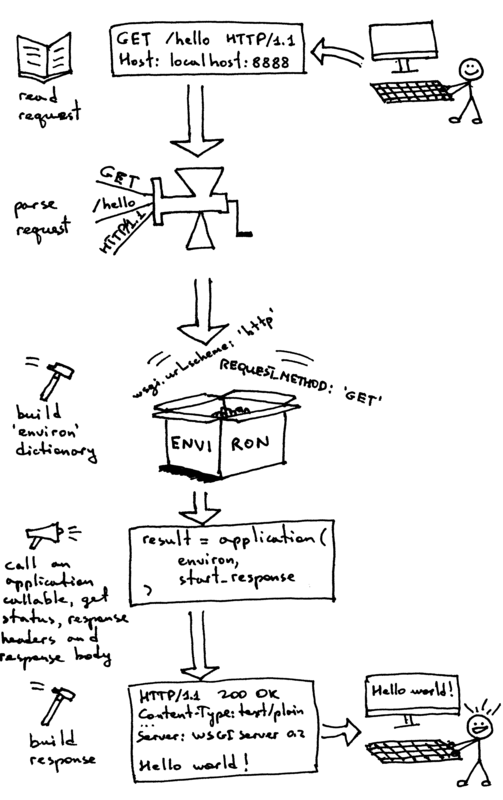 Then, it calls the ‘application’ callable with the ‘environ’ dictionary and a ‘start_response’callable as parameters and gets back a response body. Then, the server constructs an HTTP response using the data returned by the call to the‘application’ object and the status and response headers set by the‘start_response’ callable. That’s about all there is to it. You now have a working WSGI server that can serve basic Web applications written with WSGI compliant Web frameworks like Django, Flask, Pyramid, or your very own WSGI framework. The best part is that the server can be used with multiple Web frameworks without any changes to the server code base. Not bad at all. Stay tuned and I will show you a way to do that in Part 3. Cheers! BTW, I’m writing a book “Let’s Build A Web Server: First Steps” that explains how to write a basic web server from scratch and goes into more detail on topics I just covered.